Description: During the expedition, Union forces sought a ford to cross the Little Missouri River because other roads were impassible. They reached Elkin’s Ferry before the Confederates. As they crossed, the Confederates attempted to stop them but to no avail. The Battle of Elkin's Ferry was fought on April 3 and April 4, 1864, in Clark and Nevada counties in Arkansas as part of the Camden Expedition of the American Civil War. 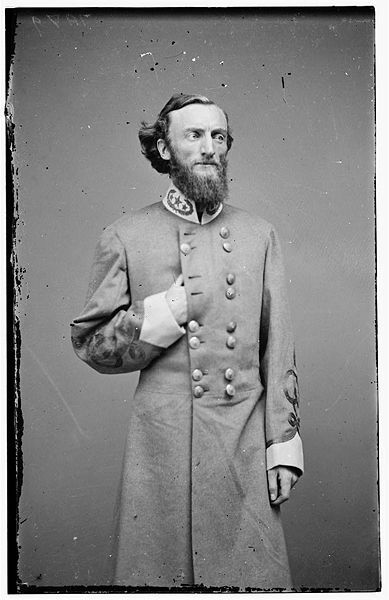 Union Maj. Gen. Frederick Steele had the 3rd Division of the VII Corps and two cavalry brigades (about 8,500 men) under his command. Confederate Brig. Gen. John S. Marmaduke had three cavalry brigades (about 7,500 men) under his command. During the Camden expedition, the Union forces had to ford the Little Missouri River because all of the bridges were impassable. The Union forces reached Elkin's Ferry before the Confederates, but on April 3 were attacked by Brig. 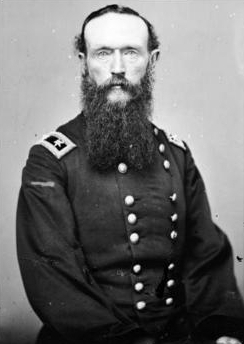 Gen. Joseph O. "Jo" Shelby's cavalry. On April 4, Marmaduke's cavalry attacked the Union forces as they were trying to cross the river. The Union forces were able to fend off both of these attacks and then cross the river. Losses on both sides in the Battle of Elkin's Ferry were light, with 30 Union soldiers slightly wounded, 50 Confederates wounded, and 18 Southerners killed. On the evening of April 4, Shelby's brigade joined Marmaduke, and together they withdrew 16 miles south to Prairie D'Ane the following morning.